Packed with science-based insight into what it really means to ‘age’ and reminding us that we have far more control over how young we feel and look than most of us realize, this comprehensive guide by natural health expert Jayney Goddard offers the ultimate blueprint for anti-ageing the natural way. Category: Complementary Therapies, Self Help & Personal Development, New Releases Tags: age, anti-ageing, Body, health. This book is an expert holistic guide on the science of how to age well – not only physically and mentally but also emotionally and even spiritually – covering everything from nutrition, herbal medicine, good breathing, the best exercise, mental attitude, natural skincare, haircare and facelift techniques, hormonal balance, good relationships, the power of nature and the power of sleep. 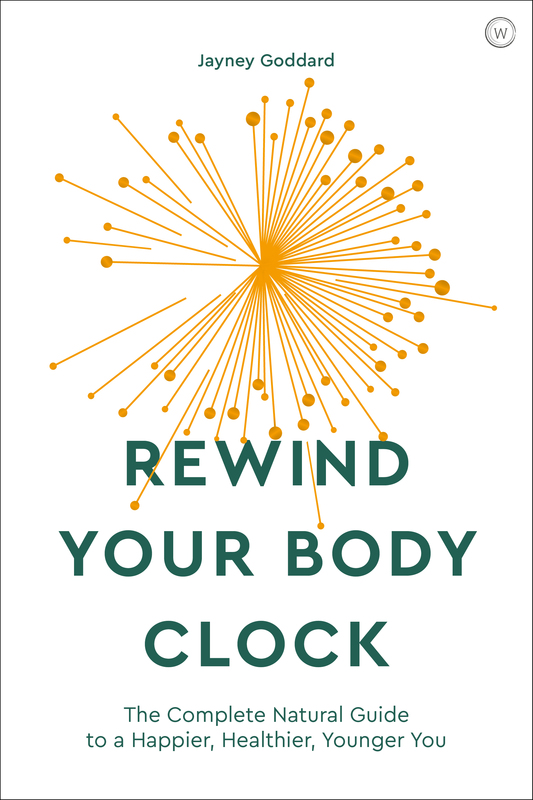 Each chapter includes easily implementable techniques which, while natural, are supported by solid scientific research, with a focus on the neurobiology of happiness and how to develop a ‘rewind’ mindset. 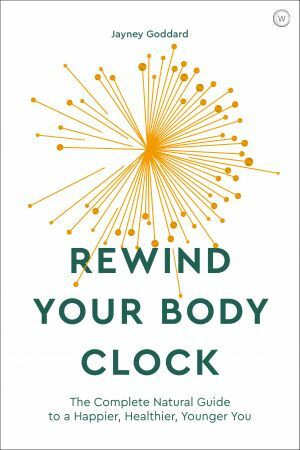 All this is underpinned with biological age tests for readers to try for themselves and, at the end, a specifically designed practical programme called the ‘Personal 21-Day Rewind Plan’. The result? Better skin, a leaner body, stronger bones, improved cognitive function, enhanced libido, more energy, improved immune function, increased resistance to degenerative diseases, more resilience against stress and much more. So, while we can’t change our chronological age, we can dramatically reduce and even reverse our biological age so that we have plenty more healthy, happy years to look forward to.